Current Maison Valentino creative director Pierpaolo Piccioli likes to say that the house's Resort clothes are meant to be lived in. Current Maison Valentino creative director Pierpaolo Piccioli likes to say that the house's Resort clothes are meant to be lived in. For the oh-so-casual looks in his outstanding Resort 2019 collection, he conjured a playful, streetwise vibe—the street, in this case, being Via dei Condotti, in Rome. Referencing the city's swinging late Sixties and early Seventies, he zeroed in on Mr. Valentino's pioneering use of the Valentino logo in his collections of that era, and paid homage in myriad ways. An abbreviated, broad-collared shirtdress in cream nodded very overtly at Mr. Valentino's cream-toned coat from the legendary 1968 Sala Bianca collection—the "V" hardware affixed to the breast pockets of Piccioli's dress was identical to the hardware on the pockets of Mr. Valentino's coat. Likewise, a red-and-blue Resort coat covered in Vs was clearly a tribute to Mr. Valentino's monogram-patterned looks from the same Sala Bianca collection. But Piccioli spun the idea in a numerous new directions. A new form of the logo—"VLTN," so apropos for Generation Text—appeared on handbags and kitten heel booties. 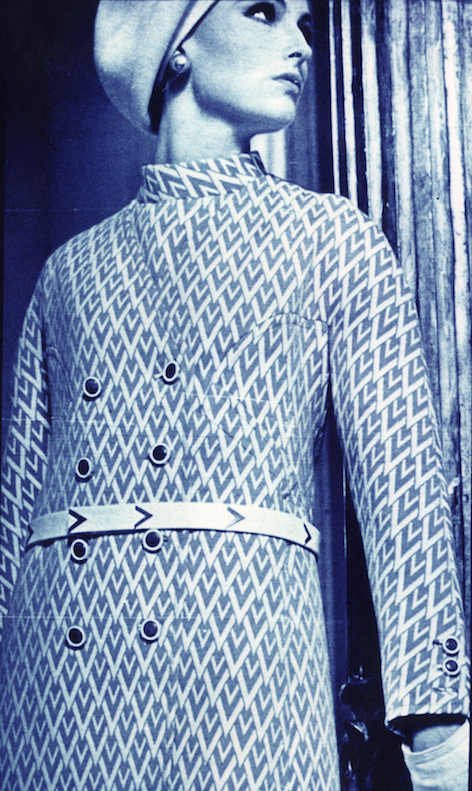 Trenchcoats, sweaters and scarfdresses spelled out "Valentino" multiple times, in multiple types—a wink, perhaps, at Mr. Valentino's Op-Art-inspired button down from 1970. (A more literally updated version of which also appeared in Piccioli's Resort outing, this time in ultra-1970s chocolate brown.) More subtly, the Valentino name was inscribed within scarf prints, and embroidered, in a faux-childish hand, onto the waistbands of skirts and the sleeves of an anorak. And Piccioli found original ways to modernize Mr. Valentino's "V" wink. 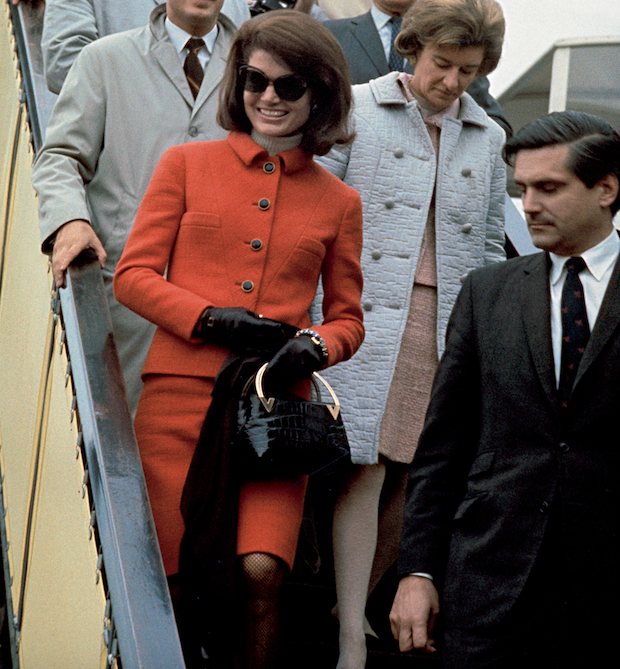 The oh-so-tact V seam on the red suit jacket worn by Jackie Kennedy was repurposed into a V-shaped logo stitched into the back pocket of a pair of jeans. And the V-shaped neckline of the iconic Haute Couture Autumn/Winter 1992/93 column gown was repurposed into a sequined V-shaped neckline on a sparkly scarf dress. As Piccioli explained to Nicole Phelps, who reviewed the collection for Vogue Runway, he wasn't imitating Mr. Valentino's use of the house's logo; he was "bootlegging" it, i.e., taking the idea and remixing it to create something new. "More like prints than promotion," Phelps wrote, Piccioli's logos "looked novel and fresh." Had Phelps been reviewing in 1968, when Mr. Valentino's Sala Bianca show debuted, she might have written exactly the same thing.